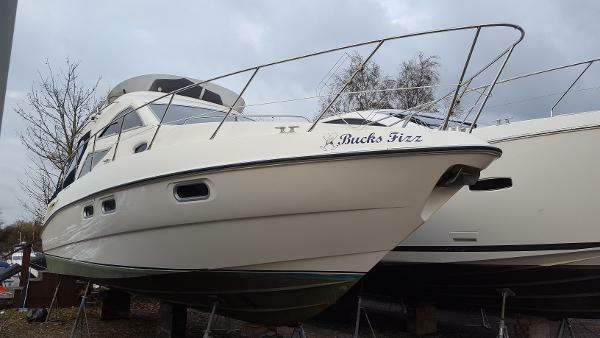 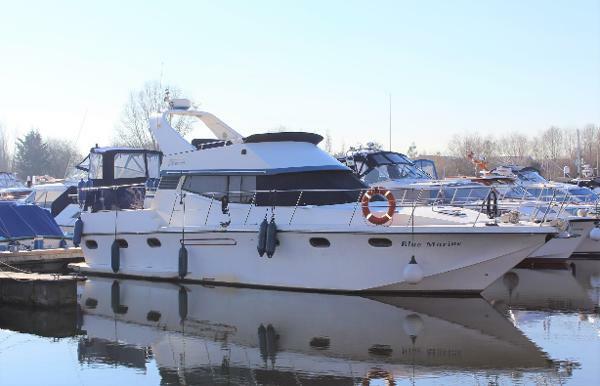 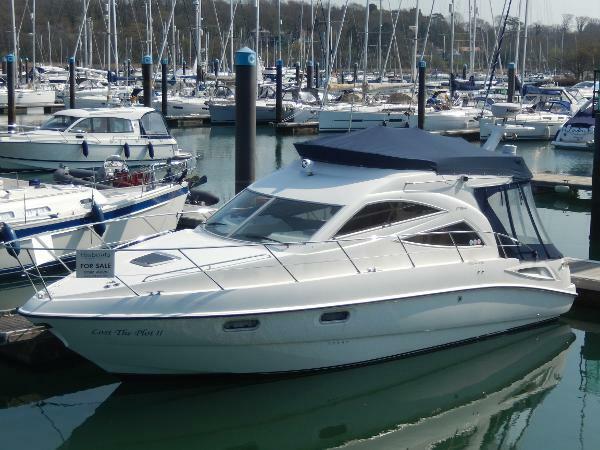 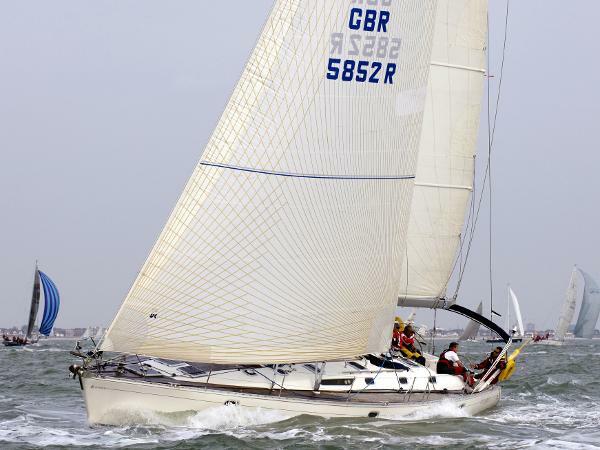 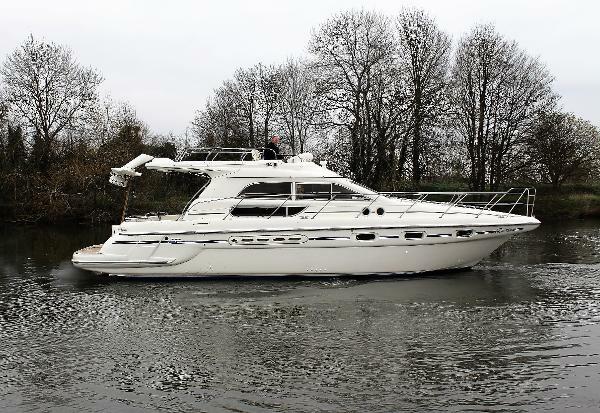 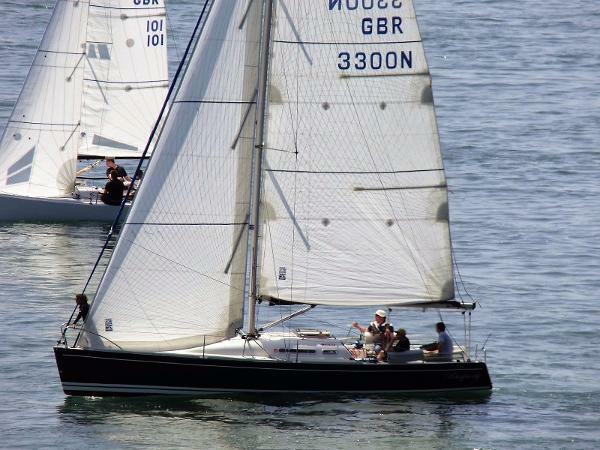 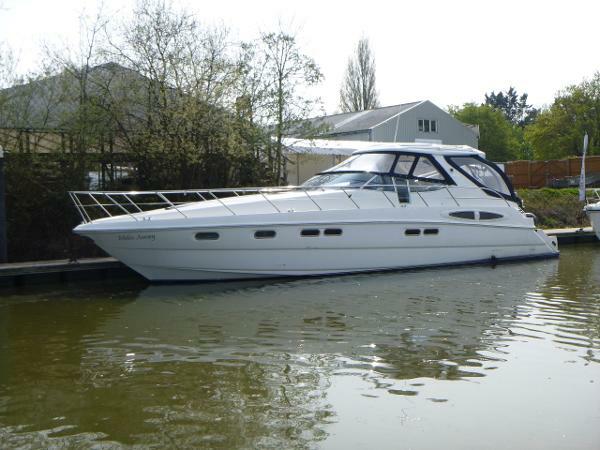 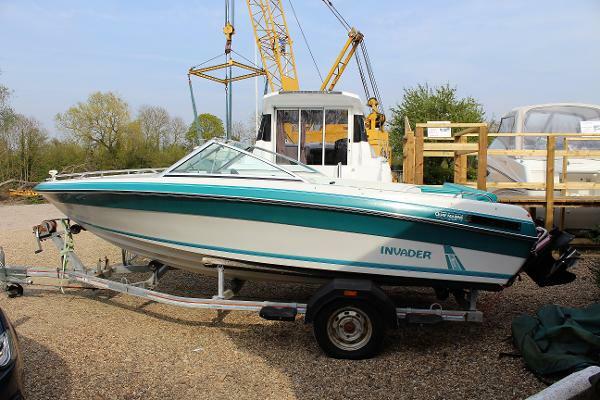 Bucks Fizz is a tidy example of the popular Sealine F34. 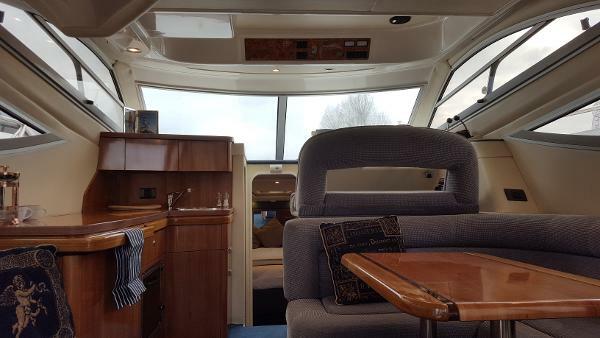 The spacious, well-finished saloon and extendable cockpit give a light and airy feel to the boat. 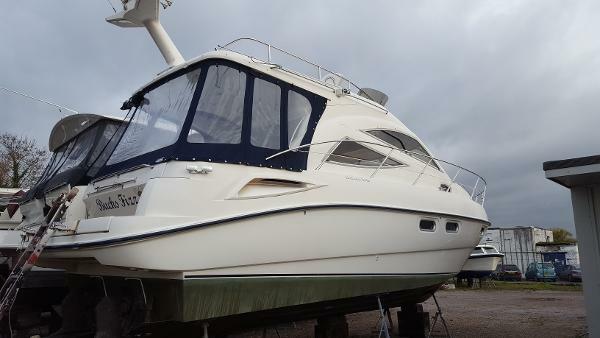 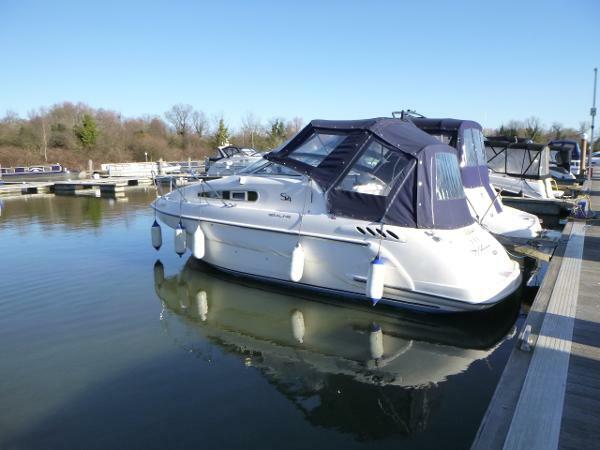 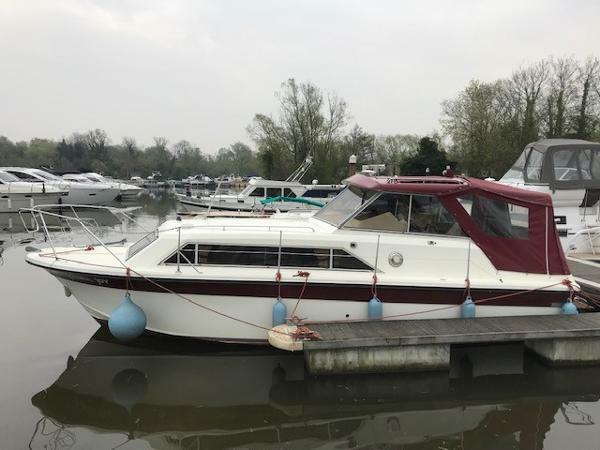 Large three cabin 4 ' 6 berth cruiser, recently valeted with a long boat safety certificate and ready for a new home. 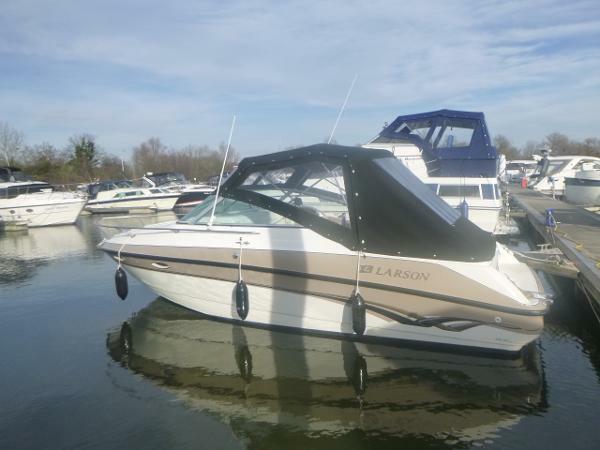 Enter the boat via large bathing platform with a transom door to port. 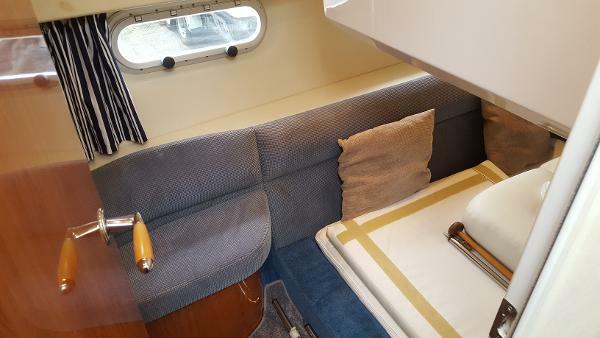 In the cockpit is a bench seat across the stern with storage lockers. 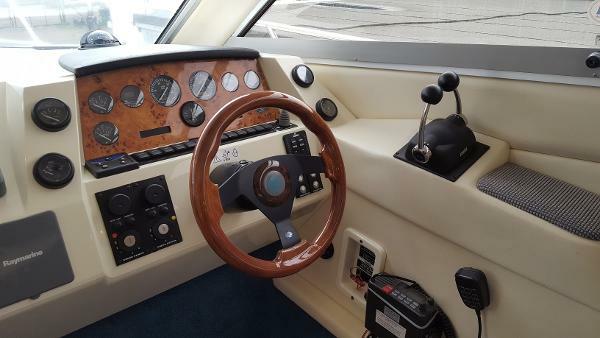 The back cockpit can be extended by approximately two feet with the touch of a button. 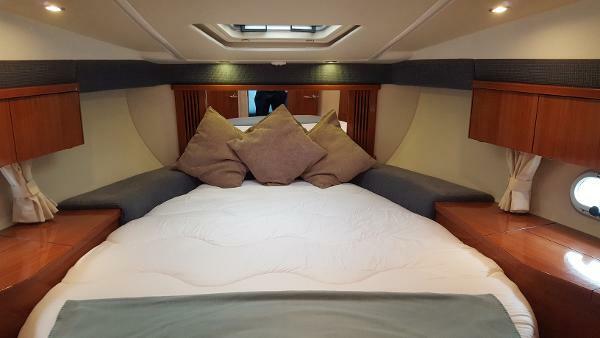 Moulded steps lead up to the flybridge, which has three-person bench seat across the helm with a second bench seat behind. 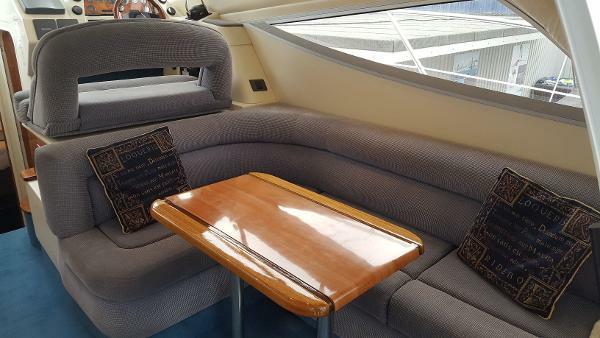 There is also a large sun pad that folds over to make it even larger. 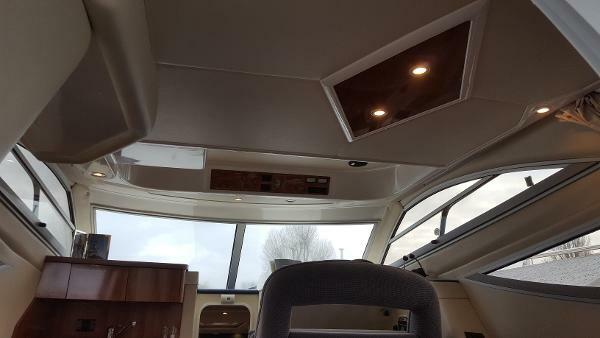 Enter the saloon via the patio doors. 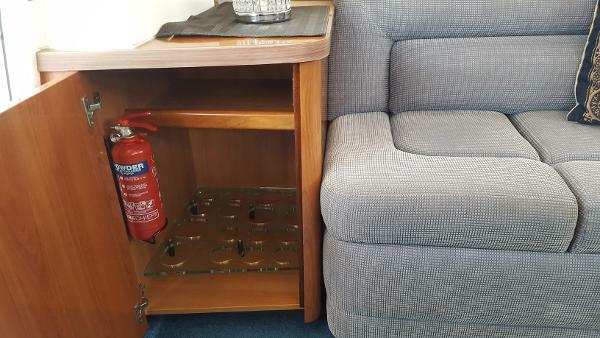 To starboard is a L-shaped seating with storage under and a high gloss table. 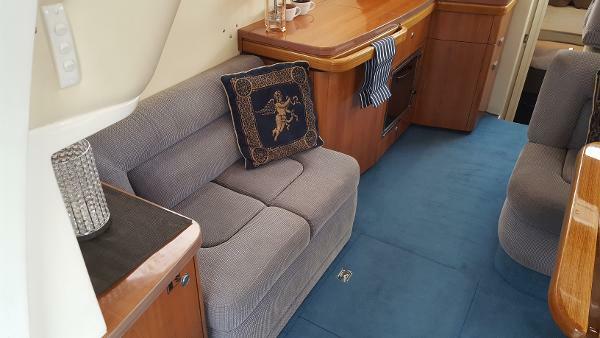 When the table is removed the seating converts to a double berth using the infill sofa on the port side. 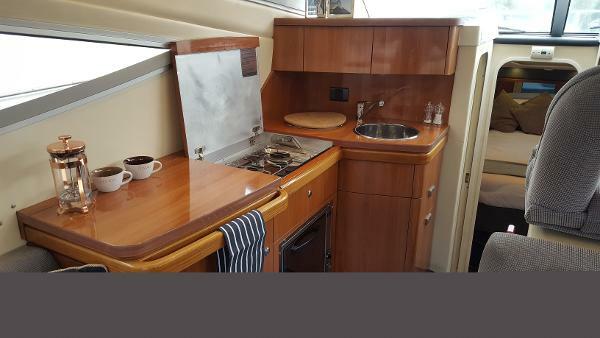 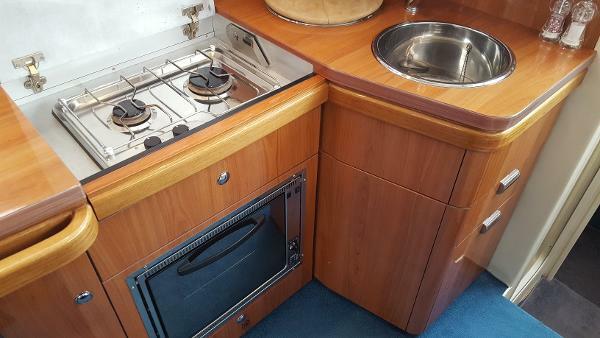 Also to port is the full galley with a fridge, oven, gas hob, twin sinks and ample storage. 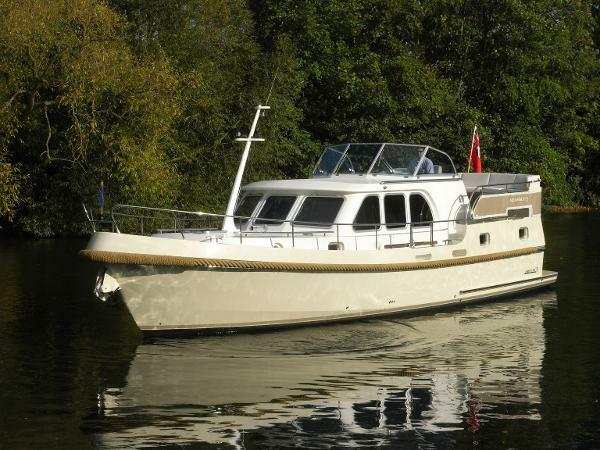 To starboard is the internal double helm seat with full engine controls. 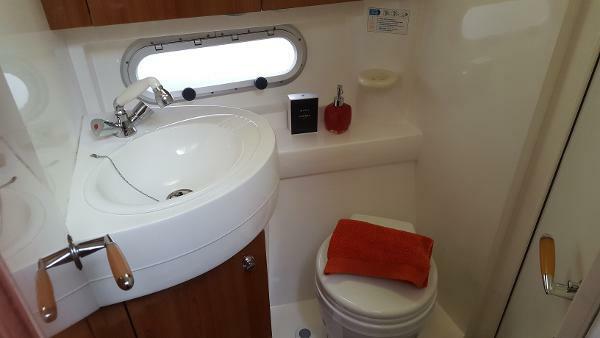 Down two steps in to the companionway the toilet/shower compartment is to port and opposite is the second cabin with fully made up double berth. 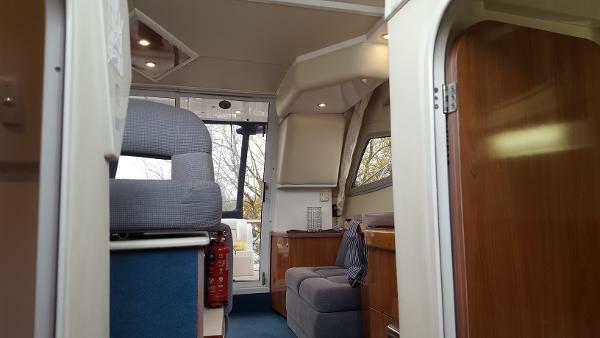 Moving forward in to the master cabin, there is an island double bed with storage under, a large wardrobe, lockers all round and separate access to the toilet.